Thanks so much for stopping by and have a great weekend! xo. 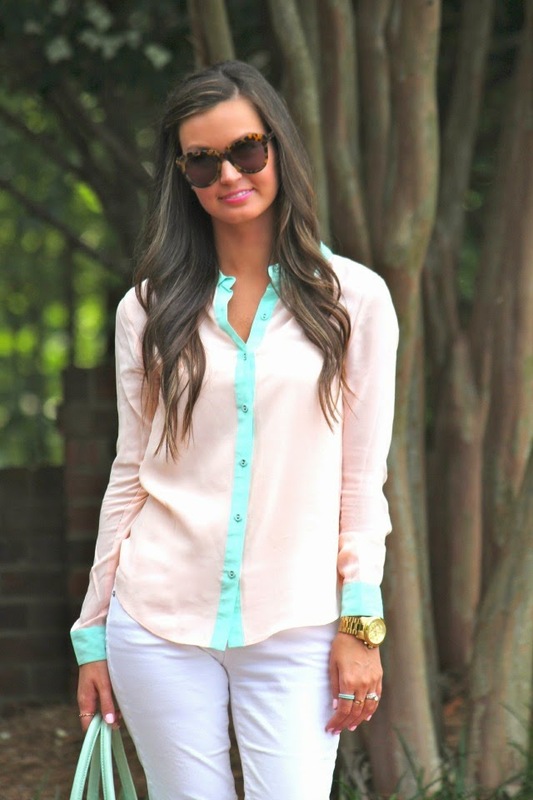 Love the pastel hues! And that bag is gorgeous! Have a great weekend! This outfit looks so cute on you! 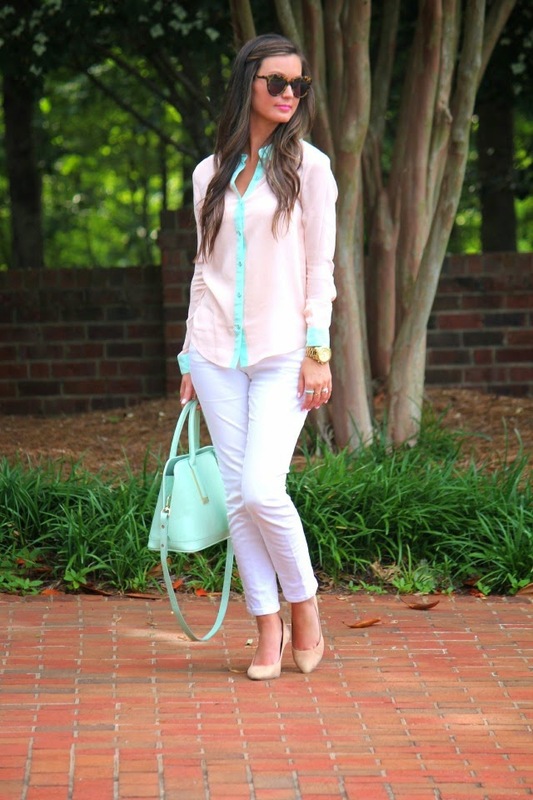 I love the pastel top with the white pants and tan shoes. 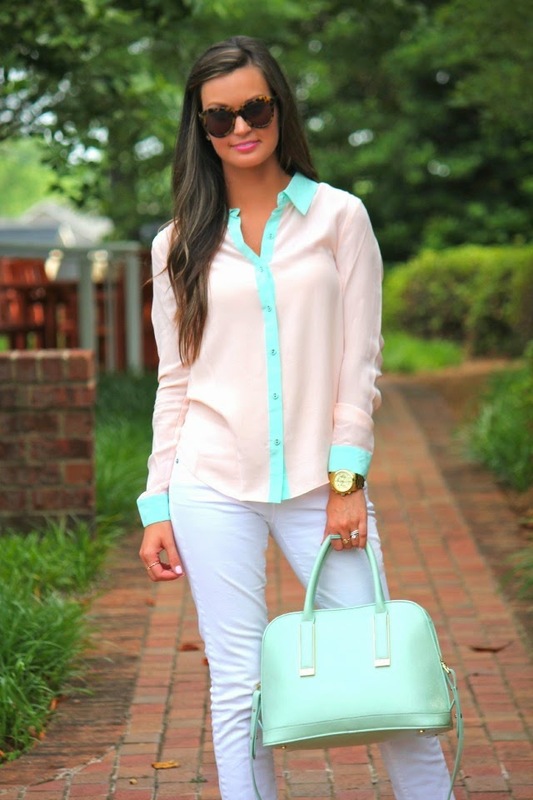 Mint is such a perfect color for summer!